You don't have to have a chicken farm to raise chickens. Children learn a great deal from raising chickens in the backyard. They learn responsibility by feeding and watering chickens daily. Coops need to be cleaned on a regular basis for chickens to stay healthy. And probably the job children will enjoy the most, eggs must be gathered daily. If you have a rooster, as well as chickens, this provides the basis for a lesson in genetics and life. For the homeschool family, this lays the groundwork for many science lessons, including the cycle of life and conception. Other lessons that can be based on raising chickens are how to use chicken droppings in compost to enrich garden soil by adding nitrogen to the mixture. Chickens can also be great pets. They can learn to perform tricks, and if properly trained from a chick, will allow children to carry them around and pet them. the soil, and eating harmful insects. Many localities have farm and ranch auctions. Consult your paper for dates and times, or call auction houses listed in your phone book or located through the Internet to find out if they have poultry auctions and when they are. When you attend a poultry auction, be prepared to give the auctioneer's clerk your name, address, phone number, and have your driver's license ready. Some auctioneers will accept debit and credit cards, checks, and cash, while others are more limited in the types of funds they can accept. Be sure to ask when you call if you need to bring a check or cash. 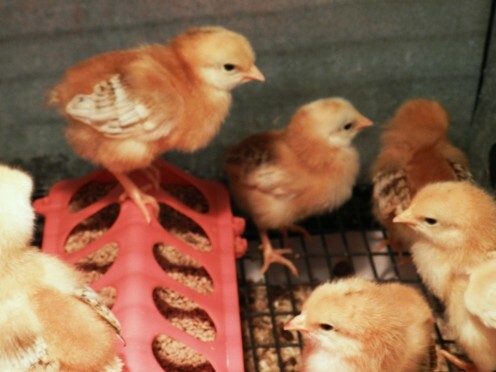 You can obtain chicks from farm and feed stores. Should You Use DIY Chicken Coops Plans to Build or Should You Buy? While chicken coops such as the one at the left are nice looking and very functional, you might prefer to use DIY plans and build your own. The kids could help! If you want to build your own, or if the coops you can purchase ready made are not what you are looking for, maybe it is time to consider building a one yourself. As prices at the grocery store continue to rise faster and faster, more and more people are looking for ways to ensure their families have the fresh foods they need. Raising chickens gives you the opportunity to have fresh eggs every morning! Whether you want to raise 2 to 5 chickens, or 16 or more chickens depends on your family size and how many eggs you can consume. Too many birds will have you looking for places to give away your eggs. Each hen will lay about 300 eggs per year. Decide how many eggs you need for your family and raise the number of chickens needed to supply them. Some people have even taken eggs to auctions to sell them. Keep in mind that most auction houses are only authorized to sell food if it is sold for animal consumption. 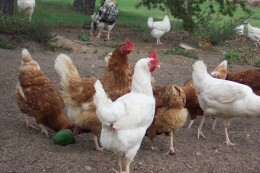 As with any endeavor, you need to learn more about raising laying hens before getting started. A visit to the local farmer's supply store will help you learn more about the costs involved. How Can Raising Chickens be Used for Homeschool? Raising chickens, rabbits, goats, or other animals can be used in science, social study, and math classes. The following lists are not exhaustive. Can you think of others? If so, please comment and share your thoughts! Determine how much food you need for each chicken. Use chickens for math questions such as: If you have three chickens, and you give one to a friend, how many chickens do you have left? Write a short report about your findings or give an oral report to your family. the U.S. are Alabama, Arkansas, and Georgia. When raising chickens, one of the biggest concerns most people have is safeguarding their flock from predators. Predators, animals that eat chickens, include coyotes, minks, red-winged hawks, raccoons, opossums, bears, dogs, skunks, include foxes. Which predators you need to be worried about depends a great deal on where you live. If you are raising your chickens in a backyard in an urban area, bears are not likely to visit, but the neighborhood cats and dogs could be a problem. Having a coop with walls and a roof will protect your flock from flying predators such as the red-winged hawk and owls, but foxes, raccoons, and opossums are able to dig under chicken wire fences to get to your hens. A coop is important to provide the first level of safety, but it is not enough. Remember The Rookie, a 2002 drama sports film that starred Dennis Quaid? In that movie, Quaid used human hair to keep deer from eating the grass in the baseball field. This is an old, old wives tale that seems to actually work. According to many sources, spread human hair around the outside of your coop at least every two weeks, and most of the critters will stay away. If you cut your hair at home, this should be an easy fix. However, this does not work with airborne predators, cats, or dogs, though, so the hen house is still essential. Several people reported good results from family dogs that mark their territory, but in the city where there are laws concerning dog poo, this might not be practical. On a more modern note, others report that using small gauge chicken wire and electric fences are helpful. Ultrasonic devices similar to those used to chase mice from homes might also be helpful. Winter Care for Chickens | HenCam Chickens do not need insulated houses. But, they do need shelter that is out of the wind and free of drafts. At the same time, it shouldn’t be at all damp. Keeping Chickens in WinterMany people have concerns about how to manage their flock in cold weather. Winter shouldn’t be a problem for your flock. You can even raise baby chicks in the winter! Winter Care Tips for Your Chickens When winter arrives, chickens just need a little extra care, which can easily be achieved by reading these tips. general health, feed, and environment. As an alternative, you can have free range chickens. Before deciding to run free range chickens, be sure to check zoning laws and pet laws for your area to make sure you will not be in violation. 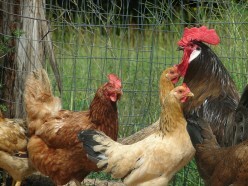 Free range chickens are more likely to have issues with predators, and you may not always be able to find their eggs. At different times, we had both free range and cooped chickens when I was a child. The free range chickens enjoyed laying their eggs in weeds and brush, which made them hard to locate. Because they were so hard to find, sometimes we would not find them until they were too old to use. To determine if an egg is still edible, put it in a pan of cool water. If it floats, discard the egg. Is raising chickens is a homeschool activity your family would enjoy?